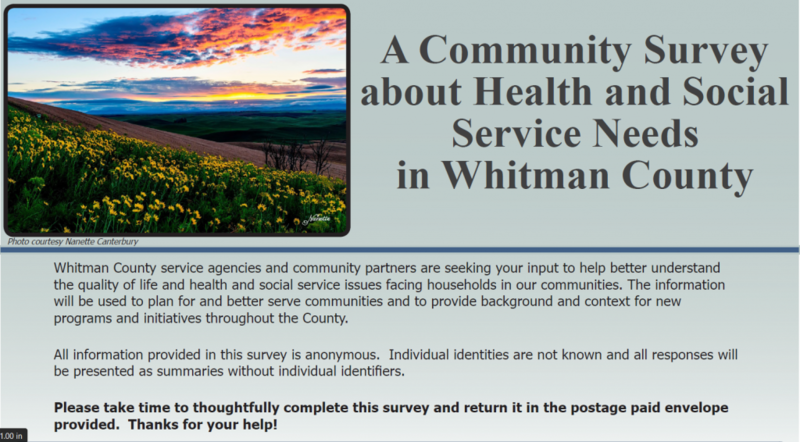 If you received an invitation to complete a survey for Whitman County needs, pictured below, you are part of a unique group of random residents selected to give your thoughts and opinions about life in your community and in Whitman County! If you have already completed your survey, THANK YOU! 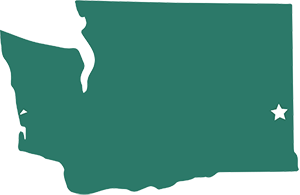 Over 20 community stakeholder organizations and businesses are working together to hear from you, and your voice helps to paint a picture of the resources, needs, challenges, and opportunities found on the Palouse in Whitman County. If you haven’t done so, please don’t miss this opportunity! Go online to complete your survey, or complete the survey mailed to you. On behalf of Avista Corporation, The Whitman County Health Network, Pullman Regional Hospital, Whitman Hospital & Medical Center, Whitman County Public Health Department, Community Action Center, and 14 other organizations, we appreciate our neighbors and really want to hear from everyone to help shape a more positive future for all Whitman County residents.